Modern bodybuilders just don't do many of the heavy exercises that develop the trapezius, such as High Pulls, Cleans, Shrugs, Deadlifts, etc. The result can be a conspicuous lack of development in the traps . . . a lack that makes the lifter look weaker, less rugged and powerful than he could. 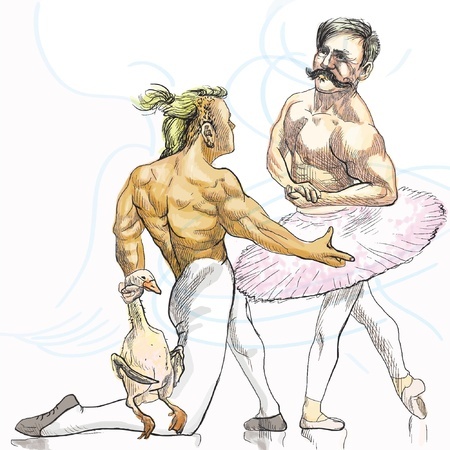 The overall appearance of the physique is marred - incomplete - whether standing relaxed, or flexed. The average bodybuilder today spends most of his shoulder time and energy on certain pressing and arm raise movements that do not engage or strongly affect the trapezius muscle. This muscle is also a large and powerful one which needs direct and hard work to stimulate it to grow, and let's face it, there is no way the back can have that 'look of power' without thick, well-developed trapezius muscles. This brings up another important point. The type of heavy training which produces good trap development also produces a well-developed lower back. Study photos of bodybuilders who possess good trap development, and, almost always, you'll see good to excellent lower back development. You'll notice this at physique contests as well. The condition of bad trapezius development exists because the unendowed bodybuilder doesn't do lifting moves, such as Cleans, High Pulls, Shrugs, and Deadlifts. All these fine body-power and muscle-mass developers are usually neglected in preference for many sitting and lying exercises. and their physiques look like it! Train like a man and you`ll look like a man. Powerful traps, developed through heavy exercise, will give you that massive, rugged look of bull-like power. Weightlifters are noted for their powerful looking traps . . . because they are powerful. 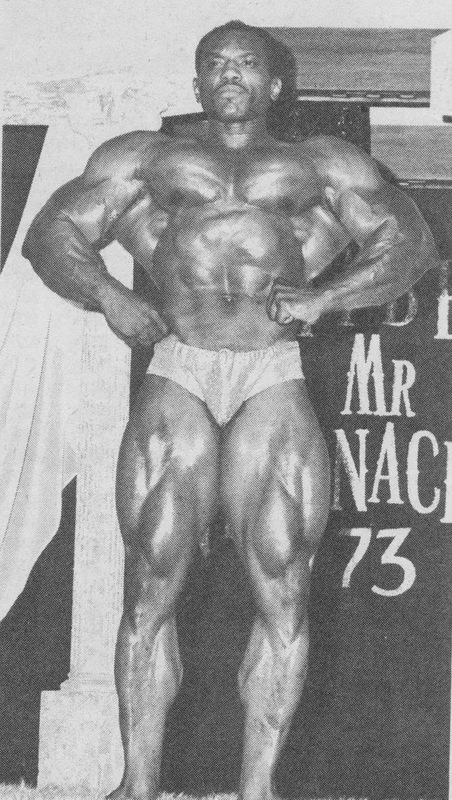 A few bodybuilders noted for their exceptional trap development are Marvin Eder, Sergio Oliva, Reg Park, Serge Nubret, and Arnold Schwarzenegger. Eder and Park were very heavy power trainers and were famous for their strength feats. 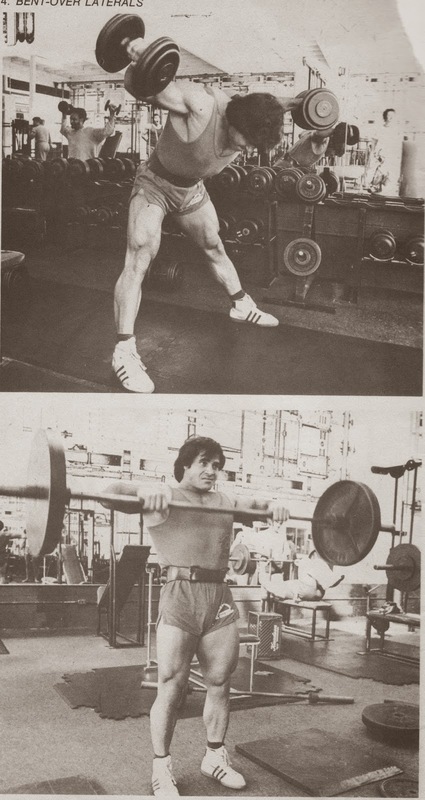 Sergio was an elite weightlifter, and Arnold dedicated many training sessions to developing bulk and powerful mass. Each of these men have one thing in common - they handled massive poundages at one time in their training and performed a lot of pulling and cleaning exercises. Their breathtaking power and massively muscular physiques are current legend! One of the comments I hear most often after I give an exhibition is, ``You look very strong!`` The reason is that I have always trained heavy and worked my trapezius like any other muscle. Wide shoulders lacking excellent trap development is a sign of weakness that robs a man of his maximum potential to appear impressive, whether in street clothes or on the beach. The well-developed trapezius is absolutely necessary for that powerful, dynamically rugged look that commands respect. Since the traps are very powerful muscles, you have to handle heavy poundages to get them growing. One of the best ways I have found to do this is to incorporate most of your trap work into your back and shoulder exercises. This not only saves time, but it conserves energy as well. 300x8, 400x7, 500x6, 600x5, 650x3, and 675x3. My traps get a tremendous workout from this, as well as my entire back. At first, I do this lat and lower back exercise in the regular manner, pulling the bar up `til the plates touch the lower part of my chest - for 4 sets. Then, I take weight off the bar and do a special variation of this which really isolates the traps: I move my elbows outward and pull the bar up `til the plates come close to my face. I also squeeze my scapula together to get extra contraction for the traps for 3 sets of 8 reps.
120x8, 140x8, 160x8, 180x8, and 200x8. This very valuable exercise will give the traps and rear deltoids a great workout if you do it properly. Bend forward at the waist until your back is parallel to the floor and straight. Don`t hunch or round your back or shoulders. Hold two dumbbells and let them hang down, then raise them up to the sides, slightly to the front, as high as possible. Raise the lower the DB`s slowly, completely concentrating on the trapezius. I do 3 sets of 8 reps, using very strict form. Using a regular width weightlifting grip on a heavy barbell, I pull the bar from the floor as high as possible - usually to eye level - without turning the wrists and dropping under the bar as in a regular clean. My elbows are kept high, then I throw the traps forward as the weight is lowered back down where I immediately repeat for 3 sets of 8 reps with 315 lbs. This gives my whole back and shoulder girdle a great workout. I only do this exercise once a week. A very important feature of my trapezius training routine is that I combine it with my back and shoulder exercises. In other words, I don`t have to go out of my way to give my traps the type of heavy workout they need to grow. For instance, the Deadlift/Shrug combination works both the back and traps; the T-Bar Rowing exercise I use with my special variation works the back and traps; the Upright Rowing is terrific for the delts as well as the traps; Bentover Laterals are for the traps and rear deltoids; and the Heavy High Power Pulls are excellent for the whole back, traps, and delts. Combining trap exercises with back and shoulder movements makes my workout more interesting . . . and I can put more enthusiasm into it! My advice to all bodybuilders is to never neglect trapezius work. Don't sit or lie on the benches all the time when working out. Remember, to have big, powerful muscles you must handle heavy poundages.